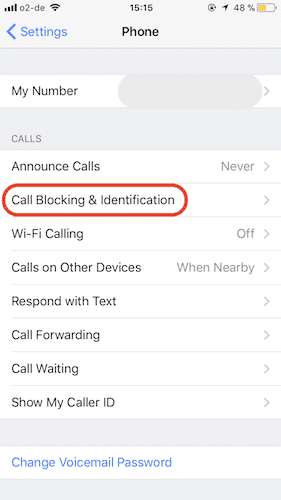 Not many people know that if you are receiving nuisance calls, or if you just don’t want to hear from someone ever again, you can simply block their calls from ever getting through on your iPhone. But what if you want to unblock someone on your iPhone? There are a couple of ways this can be achieved. Blocking somebody is an all-or-nothing affair. You may not like the restrictions Apple places such as also blocking SMS messages and Facetime chats. Calls from that person may be undesirable but you may not mind the occasional SMS. If this is the case, here is how to unblock someone from your blocked list. I have temporarily blocked a good friend on my phone. I’m sure she won’t mind just for a few minutes while I demonstrate how to unblock her. 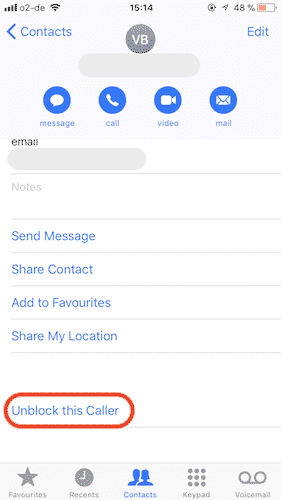 Either go to the contact listing in your contacts app, or access your contacts through the Phone app. Scroll down to the very bottom and you will see “Unblock This Caller”. The other way to go about it is to access your blocked list, which can be found in the Settings app. 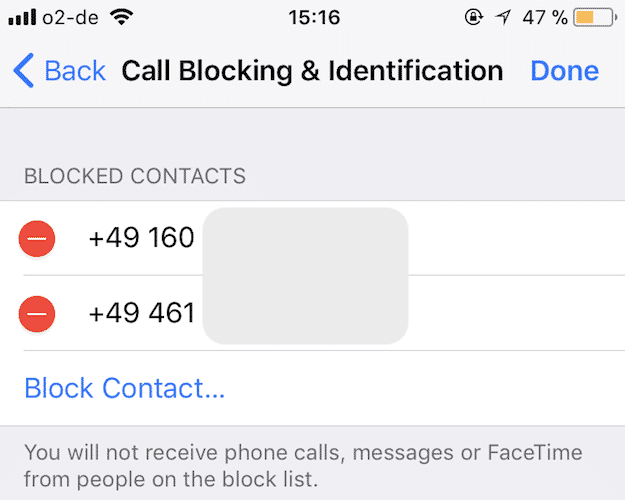 The blocked list is also good if the number was not originally in your contacts to be begin with. If it was a random number that kept on phoning, then the only way to unblock it is to go through the block list. 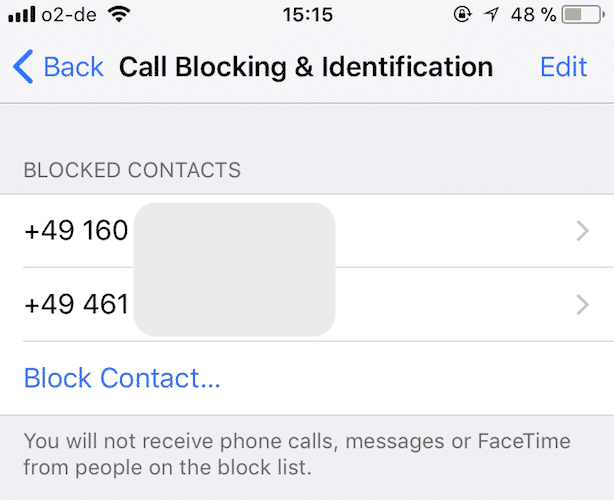 So go to Settings–>Phone–>Calling Blocking & Identification (as of iOS 11). Tap on that. Then you will see the numbers you have already blocked. I have two numbers on my block list, both spam numbers. Let’s say I have a sudden love for spam and I want to remove them. Click the “Edit” button in the top-right hand corner and you will now see a round red circle next to each blocked number. Tap the red circle next to the number you want to unblock, and the number will be removed from the list. Call blocking is a fantastic feature, especially for people who are being abused and/or harassed. It allows them to regain some peace of mind and some semblance of security by blocking the calls of their tormenters. But if you are blocking a friend or relative because of a silly dispute, blocking them might seem in hindsight to be a bit of a rash over-the-top move. In that case, it is good to know how to reverse the process and get them through to you again on the phone.